Tashkent is one of the oldest cities in Central Asia. Chach-Shash-Binkent-Tashkent. Each of these names is the city’s history. Tashkent city was founded more than 2000 years ago. The city was situated on the crossroad of the Great Silk Road, which helped to connect economical and cultural relations with other countries. The remained monuments of the past have been reflecting the art and culture of the building of different epochs. The history of the city dates back to 2000 years' prescription. The ruins on the hill Minguryuk and remaining feudal castles, double-fortified walls and huge towers indicate its considerable age. The Uzbek word "Tashkent" means "stone village". In fact, the city grew up on the site of the village with the same title, which was located at the intersection of the mountain roads, and therefore played an important role in trade between East and West. Tashkent was a mighty fortress, reflecting the raids of the nomadic tribes. In the earliest Chinese sources Tashkent was mentioned as Shi, Chzhemi and Yueni, in the early Middle Ages – Chach and Shashi Dzhach. All these names could easily be transformed into occasionally coincided Turkic "Tash" (stone), although, according to experts, the word "shi" means "stone". Within a few years of independence the Uzbek capital has strongly changed. A large number of fountains decorate squares, streets and parks. Especially the central part of the city is beautified. The buildings, keeping the national identity, look modern and respectable. Tashkent is the capital of the Republic of Uzbekistan, the largest city in Central Asia with a population of more than 2.5 million people. Archaeological excavations indicated the fact, that modern Tashkent was the area of the ancient city, which existed as commercial and cultural center of the East, it was situated in the northern part of the Great Silk Road. In the Middle Ages Tashkent became the center of the oasis of agriculture, the city of fine craftsmen. Such ancient buildings as Barak –Khan, Madrassah Kukaldash, Zhome Mosque and Mausoleum of Kafa-Shash still adorn the face of the city. Historically there was a conventional division of the city into two parts - the old and new city. The old city was a center of craft and trade life, and a new city – industrial center, which was formed on the place of gardens, fields and cottages. After the terrible earthquake in 1966, the city was almost destroyed; many industrial enterprises, cultural, medical, municipal agencies, and schools were damaged. However, for 3,5 years Tashkent was rebuilt and became one of the most beautiful cities of Central Asia. Modern Tashkent – is a large railway junction, the center of a dense network of motor and air routes. There is an underground railway with its beautiful, artistically decorated stations. In the city there are the monuments of the past, among which there are the architectural constructions, built in the XV - XVI centuries: madrassah of the Muslim mystic Khodja Ahrar, madrasah of the governor Yunus Khan, Kukeldash madrasah , the mausoleum of the Muslim theologian Kaffal Shashi, the Mausoleum of Khoja Ahrar’s ancestor - Sheikh Antaur and others. In the suburb of Tashkent there is an architectural complex, which was laid in honor of Zangi-ata by Timur. 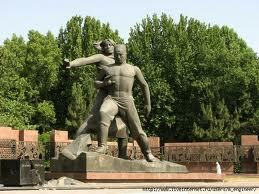 Today Tashkent – is a large cultural and scientific center. There are many museums (The State Art Museum of Uzbekistan, The State Museum of Timurids History, Museum of Applied Art, State Museum of Nature of Uzbekistan), theaters (Uzbek National Academic Drama Theatre, The Theatre «Ilkhom», «Aladdin» Theatre), cinemas, libraries, scientific institutions of the Academy of Sciences and schools. Tashkent always welcomes its guests. 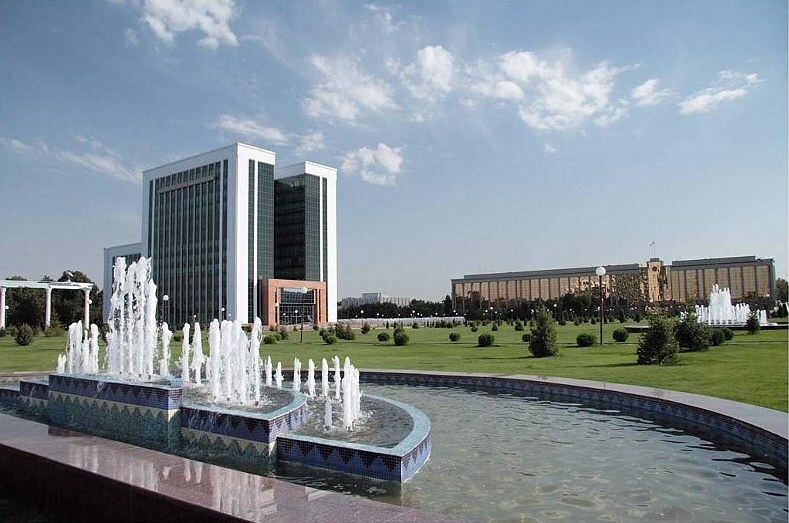 Meetings at the international level, symposiums, conferences and festivals surely take place in Tashkent. The guests of the capital, visiting the markets, shops, souvenir stands, museums or private houses, with pleasure see traditional national handicrafts and art of folklore groups.